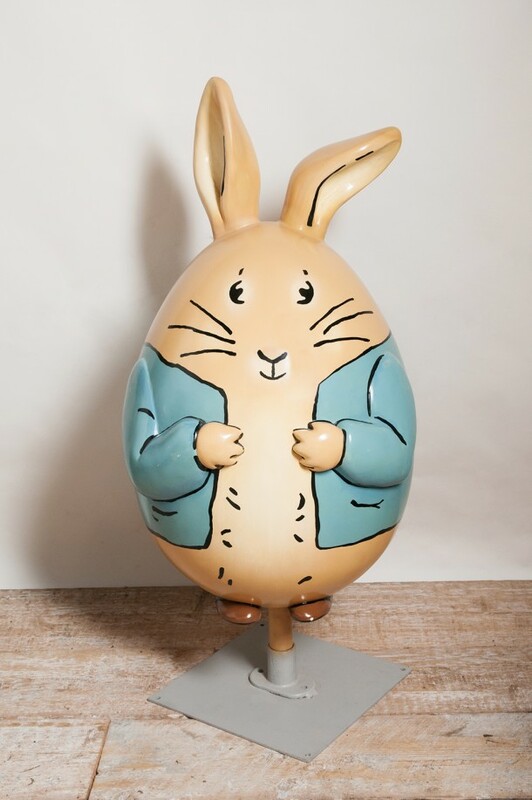 Privately commissioned by the famous company, Penguin, this amazing one of a kind Peter Rabbit Egg. A stunning highly collectable piece. The most perfect Easter present!! 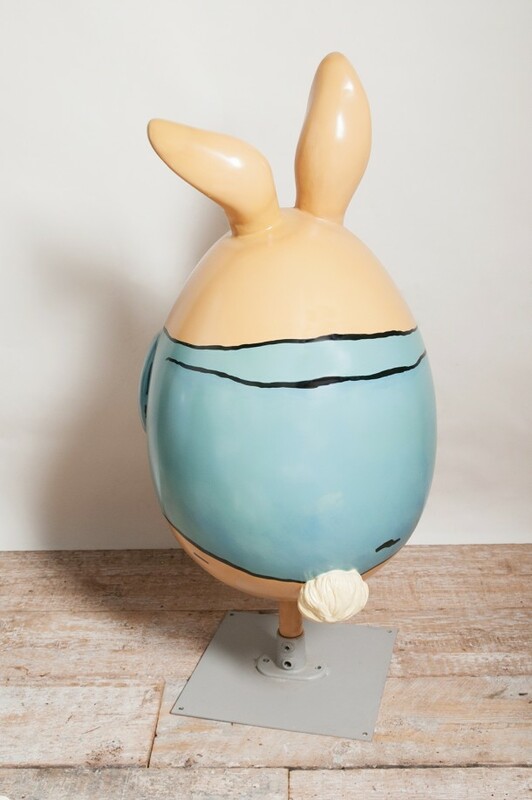 This charming egg was made in 2013 on behalf of the the Lindt Big Egg hunt and was sold at auction to raise money for Action For Children. 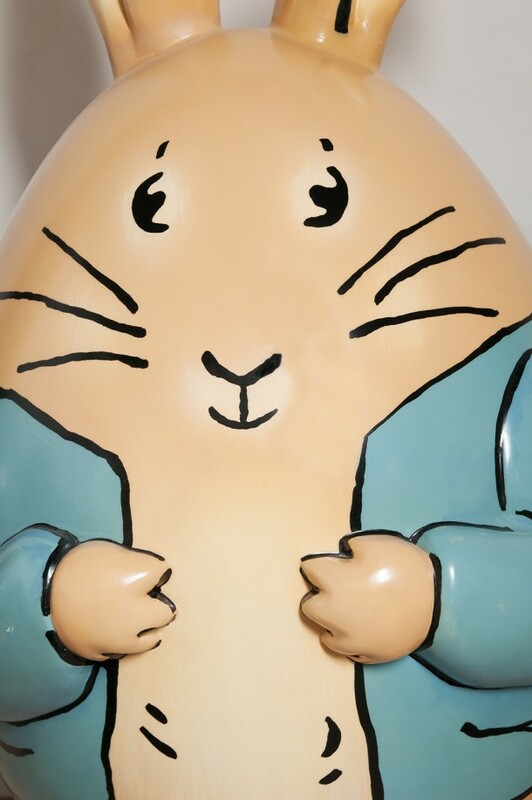 Some of the eggs at auction made over £20,000. 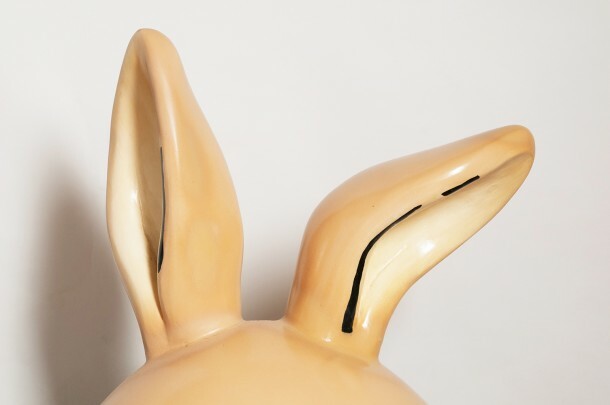 A highly collectable piece and a one of a kind. He can be removed from the base if required, or a wooden box could be made to go around it so it looked like he was standing on that. The paint has been designed to be weather proof, meaning he can go outside, although I would not personally recommend it. He stands just over 4ft tall. He is 2 foot wide, the plinth is 16″ x 16″. 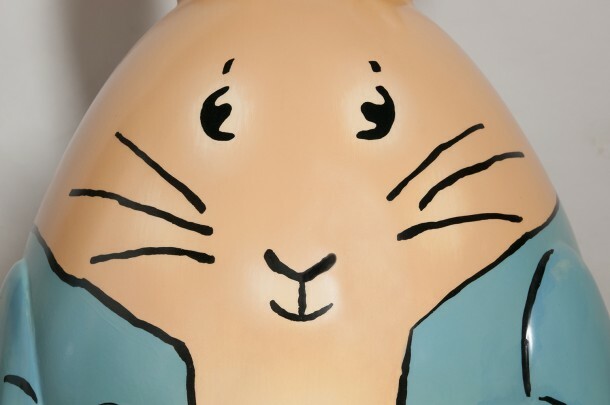 In 1902, Beatrix Potter introduced the world to a mischievous little rabbit called Peter in The Tale of Peter Rabbit. Over 110 years later, this famous tale has gone on to become one of the best-selling children’s classics of all time, and hasn’t been out of print since it was first published. the exciting adventures of Peter Rabbit continue.